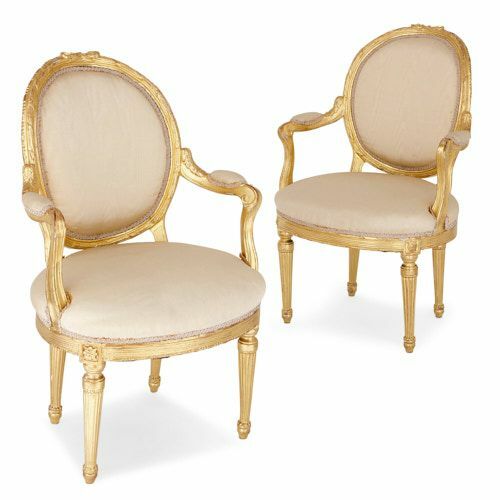 This stunning pair of upholstered armchairs (French ‘fauteuils’) are designed in the style of the late 18th-Century court of King Louis XVI. 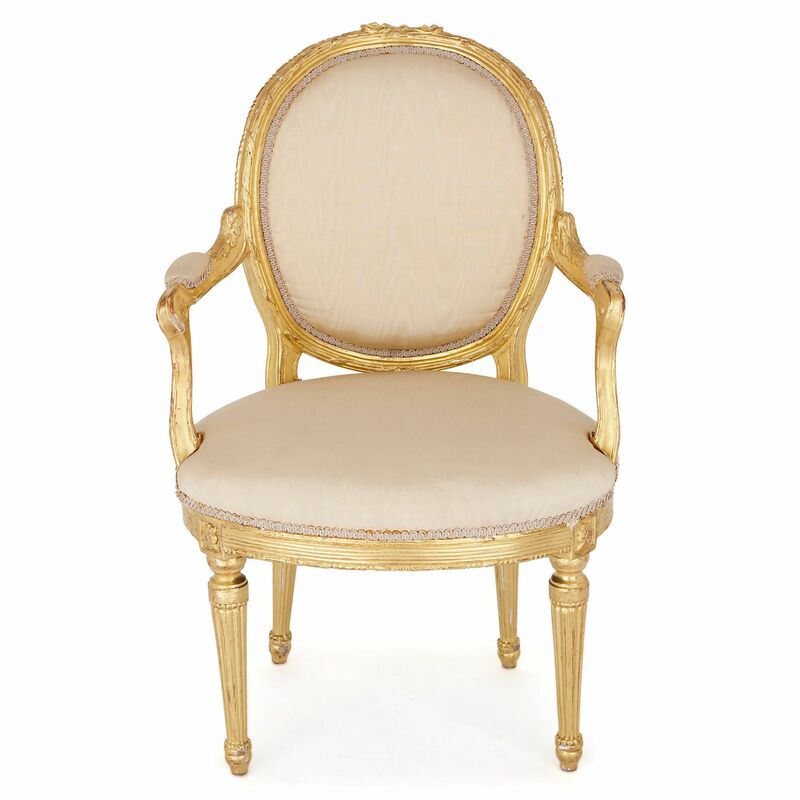 The armchairs are identically designed in a Louis XVI revival style. 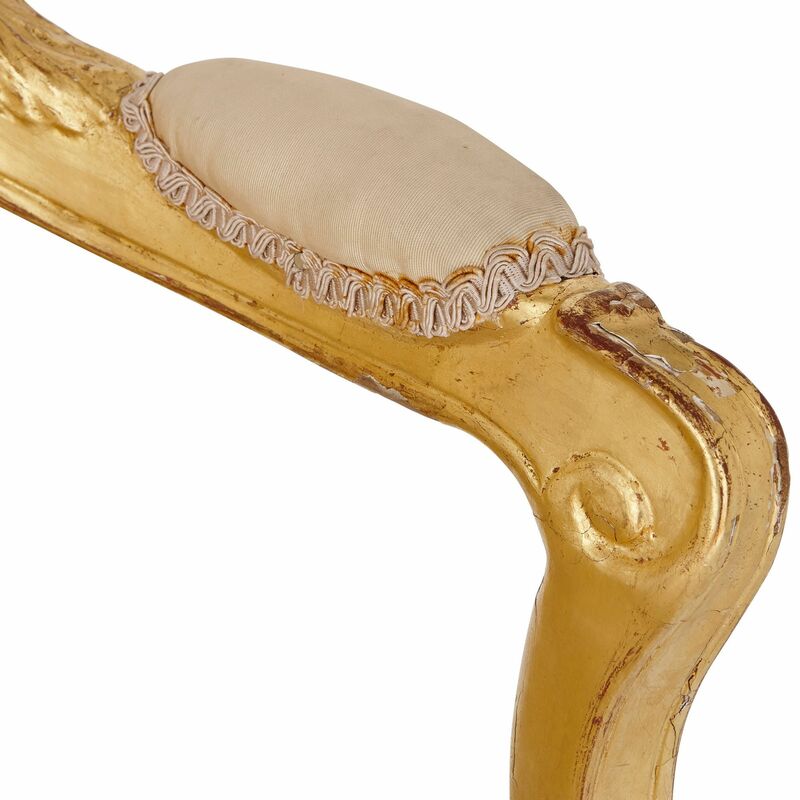 The chairs’ frames are crafted from giltwood and their seats, arms and backs have been upholstered in fine cream-coloured fabric. 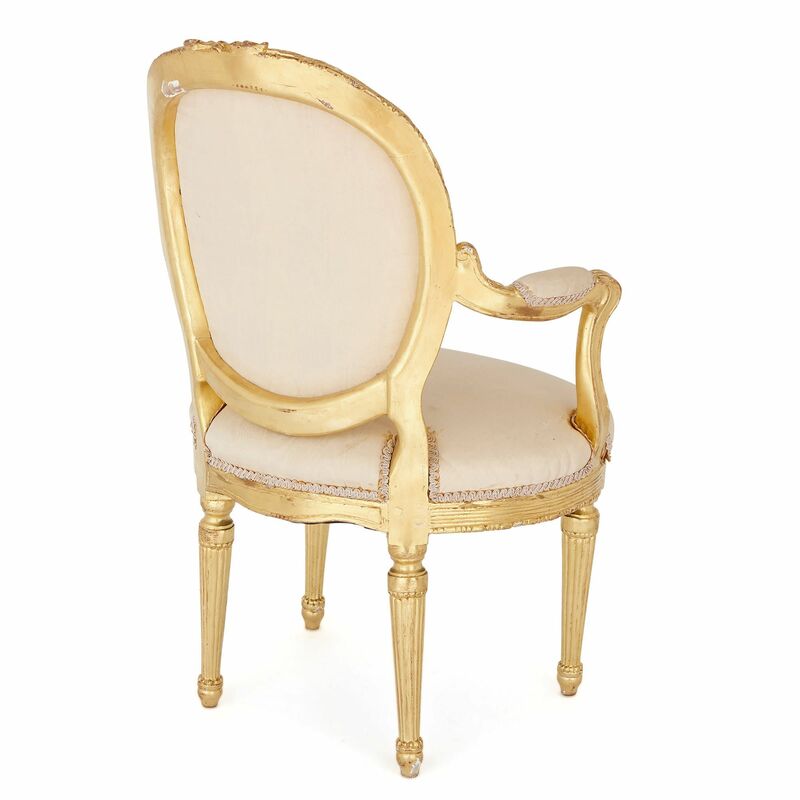 Each chair stands on four legs, which are tapered and fluted, and set on toupie feet. 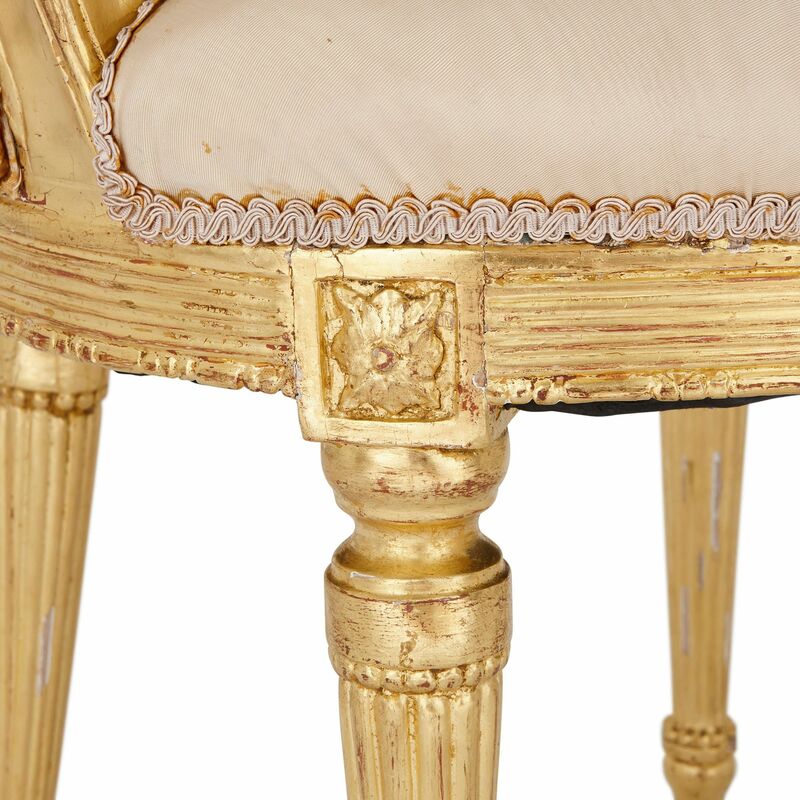 Directly above the legs, the pegged joints are decorated with rosette carvings and the seat rails are fluted. The chairs’ arm supports are elegantly curved, and the arms have scrolled terminals. 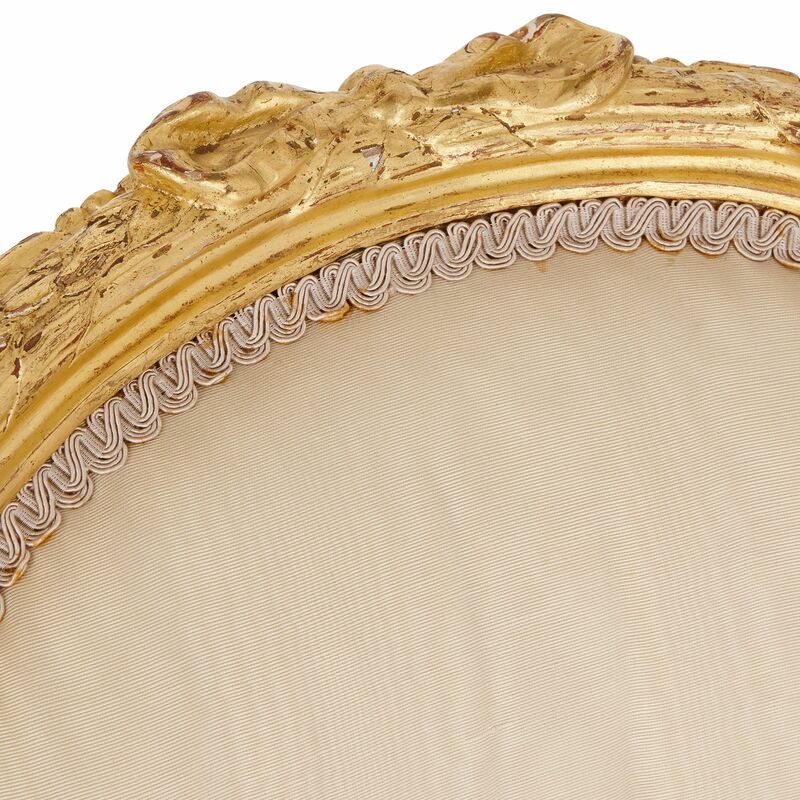 Their circular back frames are decorated with carved ribbon twist patterns and with bows on their crest rails. This pair of armchairs will make a superb addition to a living room, library or study. There is a timeless elegance and beauty in their design and craftsmanship.